Our last destination in Laos was nothing short of magical. Si Phan Don, loosely translated as the Four Thousand Islands was nothing like any group of islands we've ever set foot on. 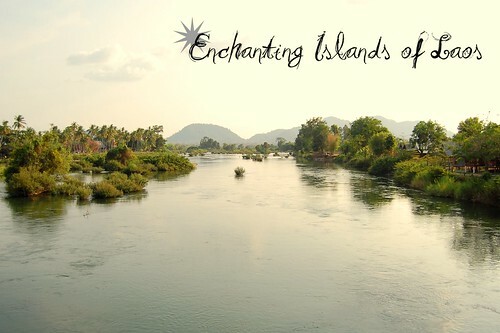 Imagine a beautiful group of islands set against a lazy and winding section of the Mekong River. 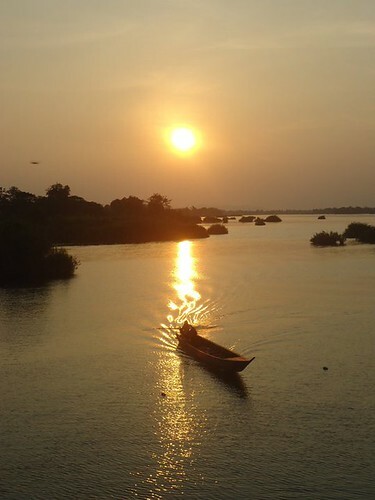 Si Phan Don is being formed as the powerful river opens out to form an intricate pattern of sandbars, rocks and islets that spans 14 kilometers wide. After being 'stranded' in a river village in Northern Laos, trekking in the hillside landscapes of Huay Bo, dipping in the beautiful waterfalls of Luang Prabang, indulging in the hedonistic pleasures of Vang Vieng and savoring the funky flavors all over Laos, we needed a respite from traveling. We chose Si Phan Don as a last destination simply for its sleepy innocence. Our to do list: Chill, heat up, swim. Repeat. But the best laid plans often go astray, and so did we. We didn't know the islands had more things in store for us then we can ever imagine. 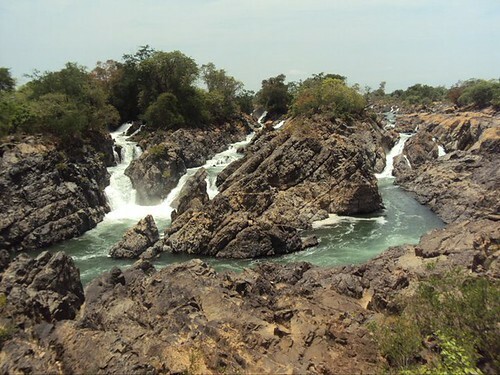 The largest waterfall by volume in all of Southeast Asia can be found here, the Khone Phapen. You can say it's the Niagara Falls of Southeast Asia! Unfortunately, we didn't get to this one. 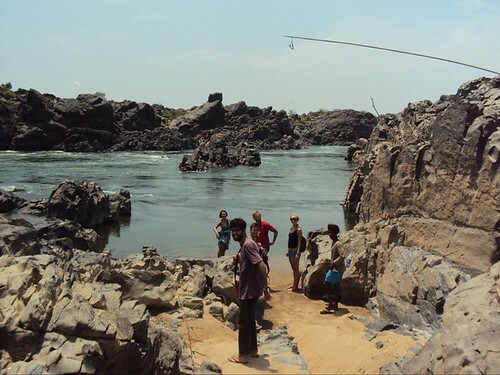 We did make it to its sister, the Somphamit waterfall which is already pretty massive even during the dry season when we went. There are 2 other waterfalls to visit in the area. The Etoud and Rhon Pa Soi waterfalls. What can be more magical than some dolphins to brighten your day? And these are not your usual Flipper. They are more closely related to the killer whale. Instead of the usual long beak, you just see a high and rounded forehead. They're not exactly pretty, but they're an endangered species. They live in brackish river water and they are only around 20 of the species left in this area. 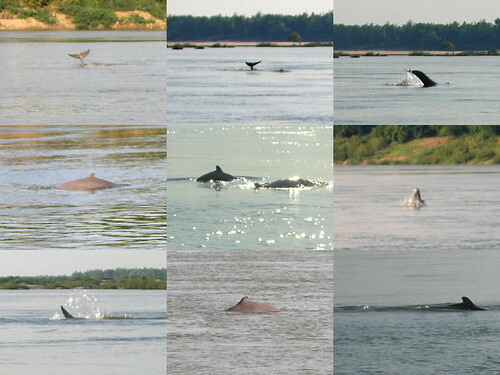 So when we went on a short boat trip, we were impressed to see more than 7 sightings. Sometimes they don't show themselves at all! The best way to go around these islands is by bike. 2 of the 3 major islands, Don Khon and Don Det are connected by a scenic bridge and it's great to go exploring by yourself armed with a local map. The bike rentals are dirt cheap. It would cost you about 8,000kip (around $2) per day. It's great exercise and a fun way to see the sights! We made like Leo (you know who we mean!) and went to find our own secret beach on the island of Don Khon. We heard that there's a little cove that you can swim in just a few kilometers after the big waterfalls in the island. We walked for more than an hour under the blazing hot Laos sun, followed the signs (which led us to nowhere) and asked both locals and other backpackers. Finally, our patience, sweat and a few lot of curse words were rewarded. 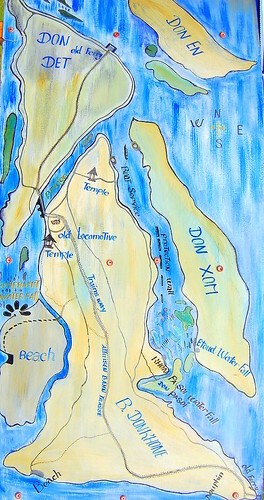 We found it: our very own secret beach. Now, don't ask us to tell you where exactly it is located. You know what happens at the end of the movie, right? We'll give you a gun loaded with a single bullet and an ultimatum: shoot someone and be allowed to stay, or leave the island forever. 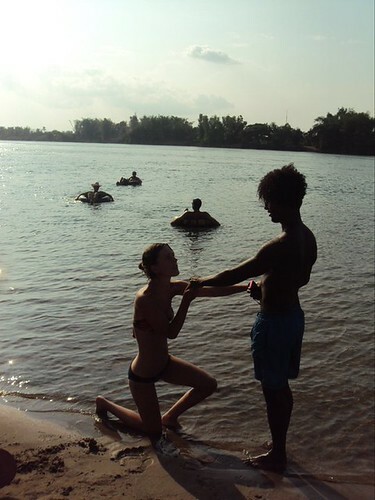 Chichi's 'tubing' experience in Vang Vieng didn't really have anything to with tubes at all. On the Si Phan Don delta, she finally managed to do the real thing. The islands' mellow currents and serene views are just perfect for this. 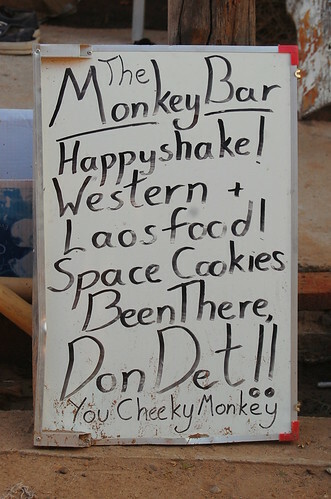 There's nothing much to do in Don Det really and that's precisely why backpackers come and visit this little island. 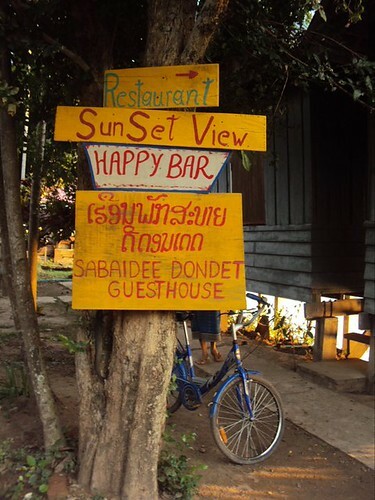 After all those buckets, slides and parties in Vang Vieng, we need some place to recuperate. Ah, backpackers lead such hard lives! Most plan to stay only for a day or two but the pull of 'la dolce far niente' is too much to resist and some stay for a week or more. An English guy we met in Luang Prabang, Jon, even chose to stay for 4 months and take care of an organic farm while the owners went back to Europe. As that guy with leaves on his head said: Veni, Vedi, Vici. 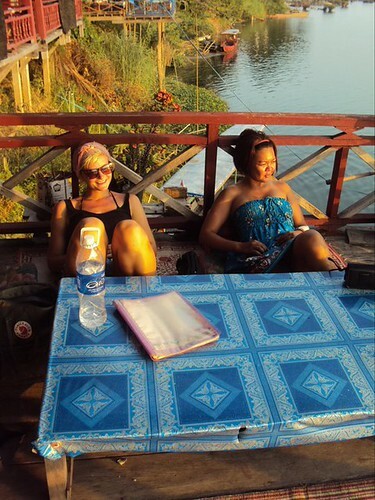 The Sole Sisters saw, came and conquered the magical 4,000 islands of Laos. If you're already in Laos, you can take a boat from Stung Treng. If you're coming from Cambodia, you can take a van from Kratie or Stung Treng which should include a boat ride to Don Det or Don Khong. If you found this post helpful, you might want to Support the Sole Sisters While We're on the Road. If you have any questions about the Sole Sisters and our adventures, post on our Facebook Page and we will compile a massive Q&A post. wow! indeed a great place. see how you can easily spot dolphins from the coast. Plus the cliffs, awesome! It was a little spot on Laos Laos heaven! It was stunning Lauren, there's still so many things to explore! Just recently watched NatGeo's Monster Fish episode about the Jumping Giants of Laos. 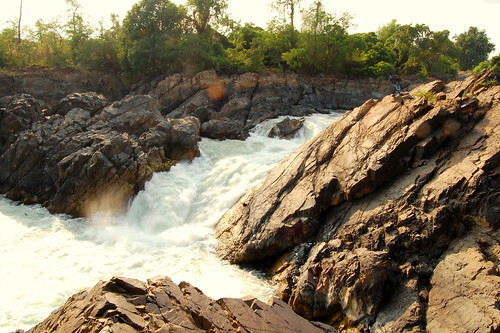 I wanna go to Khone Falls. Ooh, that secret cove sparked my beachy soul! nice waterfalls nga! scenic and i love the new discoveries of yours! yep veni, vedi, vici indeed! You should come visit Dom! We really missed out on Asia's biggest falls. Too many great things to see, too little time (and money!). Doesn't it just call out to you, Gaye? Want to swap secret beaches around the Philippines? 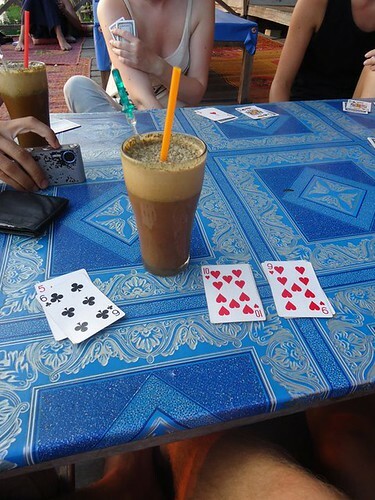 Oh, if we could've stayed for 6 months in Laos...believe us, we would have Jonna! 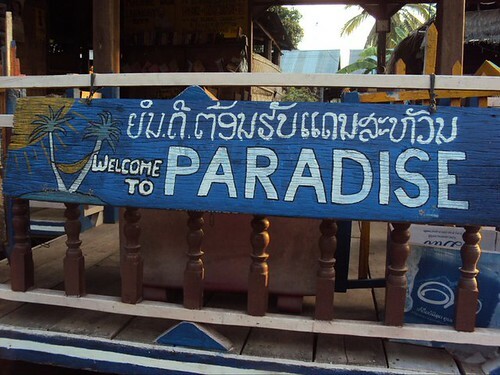 We're glad our love for Laos has inspired you to visit this wonderful country. Can't wait to read about your adventures!